Of course, France hasn’t only to offer impressive fashion brands, excellent wines, and a delicious haute cuisine as well. Some weeks ago, we have listened a song from a French singer, which enthused us immediately. Her name is JAIN. It takes just a few seconds of listening to Jain to know that you’ve stumbled on someone special. Pick a song – any song – from the Parisian’s glorious, globe-trotting debut album, Zanaka, and the effect is the same. Instantly, you’ll be startled, smitten and smiling. It took about a minute for the audience at the last year’s French Grammys, Les Victoires de la Musique, to anoint Jain pop’s most compelling new star. She performed her song Come at the televised ceremony. Onstage, she was surrounded by dancing doppelgangers, backed by masked drummers and blaring brass. Jain stole the show as the crowd leapt from their seats in disbelief. The following day, Come was at No.1. It helped to propel Zanaka to platinum sales in France within a couple of months since its release. Come has since spread across Europe, achieved already gold in Poland, and top 10 in Belgium. It stormes up the charts in Germany and Italy. Its wacky video has more than 20 million views on YouTube. 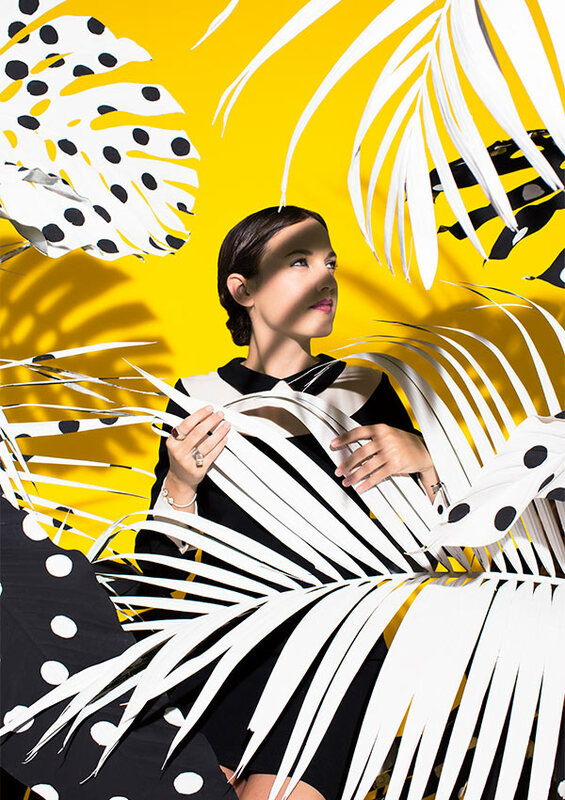 Jain has received rave reviews for every stop on her tour. That the 24 years old girl hadn’t released any music until last summer attests to her ability to ambush listeners. Quite simply, she sounds like no one else in pop. Zanaka means childhood in Malagasy, Jain’s mother’s native tongue and is a telling title. The album’s ten songs are a diary that documents the singer’s life from 16 to 23. Although, some influences could be dated back even further. Her French father and half-Madagascan mother played Manu Chao, Youssou N’Dour, and Miriam Makeba records at home in Toulouse. Jain experienced the family’s first big move to Dubai, when she was nine. Her love of percussion became an obsession, when she discovered the darbuka. It is a traditional Arabic drum. Her father’s job took the family to the Republic of Congo, when Jain was 14. The upheaval of moving home and starting new schools sent the shyest, youngest of three sisters further in to music. When she lived in the Congo city of Pointe-Noire, she met a producer known as Mr. Flash who taught her how to program. The first song she wrote, aged 16, was Come. Although it didn’t turn out as planned. Aged 17, Jain moved again. This time to Abu Dhabi. Here, in her graduation year, she formed a band. They performed covers of Amy Winehouse and Lady Gaga songs. Jain saw out her teens in Paris at art school. Besides, she discovered electro and hip hop in clubs, and performed her songs solo. Jain was wondering whether her future lay in music or graphic art. by her dub-drenched break-up song “You Can Blame Me” that they agreed to guest on it. Every track on ZANAKA captures a chapter in Jain’s youthful years. The dreamy, lilting “HOB” (think early Lily Allen with a great groove) she wrotes in Abu Dhabi. It’s about her best friend back in Pointe-Noire. The clubby “Hope” – the lead track on Jain’s debut EP – she wrotes when she arrived in Paris. The tropical hip hop genius of “Mr Johnson” is inspired by seeing suits trudging to work in an overcast Paris and imagining the artist inside them that sunnier climes might coax out. Heads Up is a percussion-driven, continent-crossing, arms-aloft party starter that piles on sounds and strips them down at a furious, fiesta pace. The other political track is Makeba, an ode to the South African singer and civil rights activist Miriam Makeba. She caused a stir when Jaden Smith (son of Will) played the song on his Beats radio show. As endearingly innocent as they are riotously rule-breaking, Jain’s tales of travel and adolescence are the sound of the summer, wherever you reside.